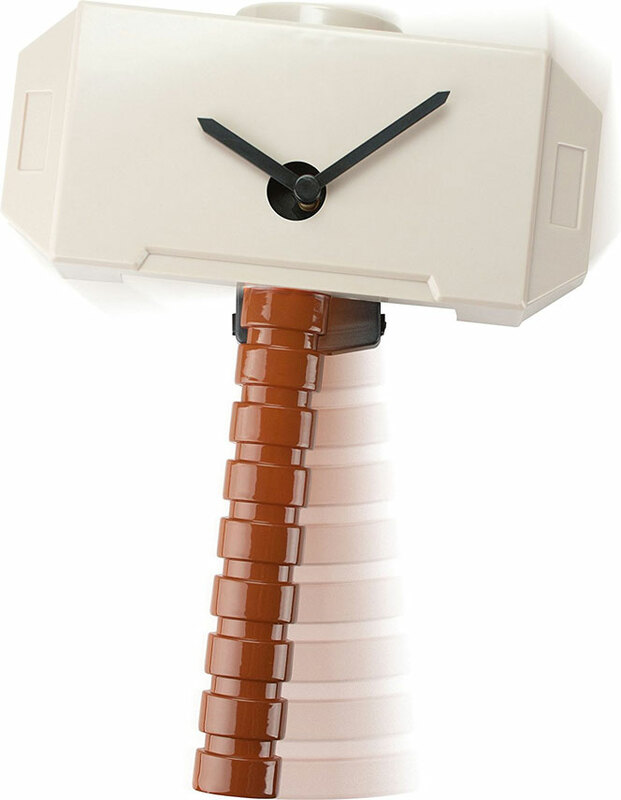 Thor’s Hammer Wobble Clock: we have covered plenty of awesome geeky clocks here in the past. This one is for Marvel Universe fans. The entire body wobbles back and forth as time goes by. 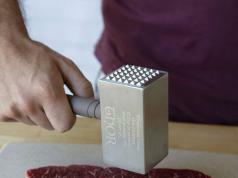 Thor Hammer Bluetooth Speaker: this geeky speaker lets you listen to music and take calls. The hammer lights up with music. Thor Hammer 3D Deco LED Wall Light: another 3D light that makes your place look rad day and night. 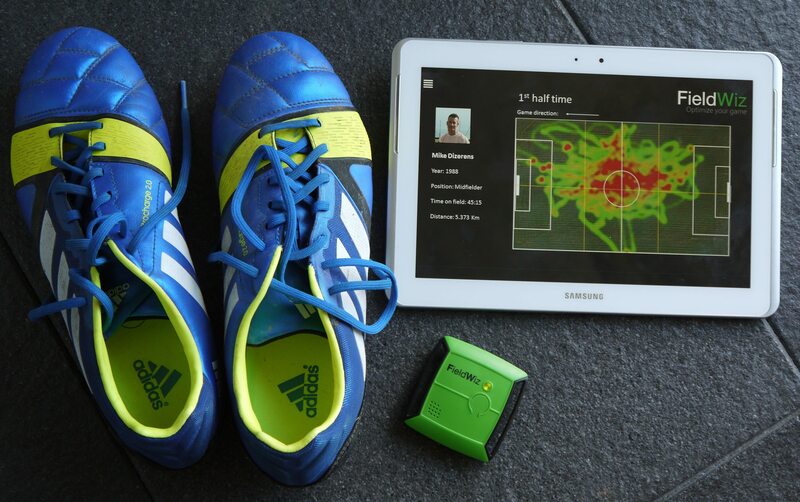 It comes with a crack sticker for a more realistic look. 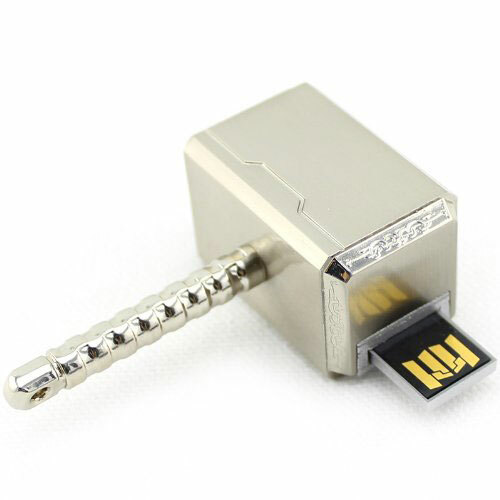 Thor USB Flash Drive: a geeky flash drive for Windows, Mac and Linux. Not the fastest but looks cool. 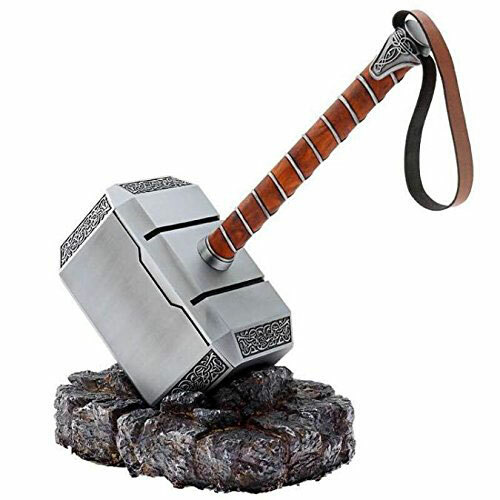 1:1 Full Metal Avengers Thor Hammer: an officially licensed Mjolnir with a resin base and leather handle. 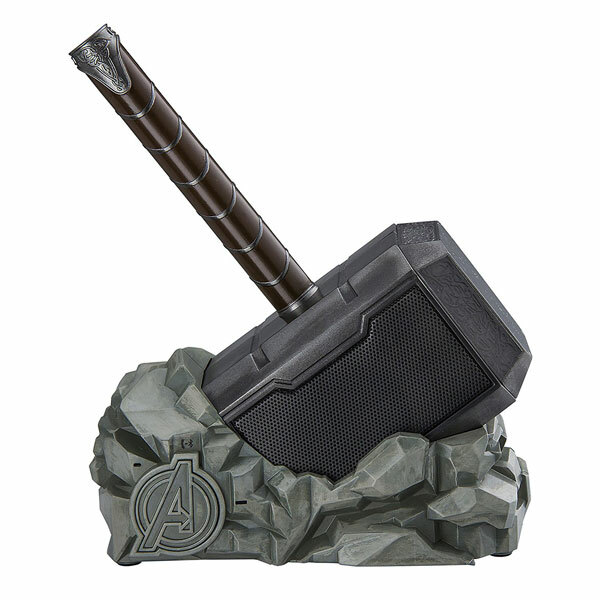 Mjolnir Electronic Hammer: comes with voice-activated light that reveals the symbol of Odin. It has a wrist strap and pommel inspired by the Thor movies. You also get lighting and thunder effects. 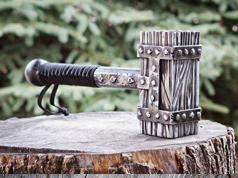 Damascus Steel Thor Hammer: weighs about 10kg, so wielding it is a light workout. It measures 13 inches long in total. 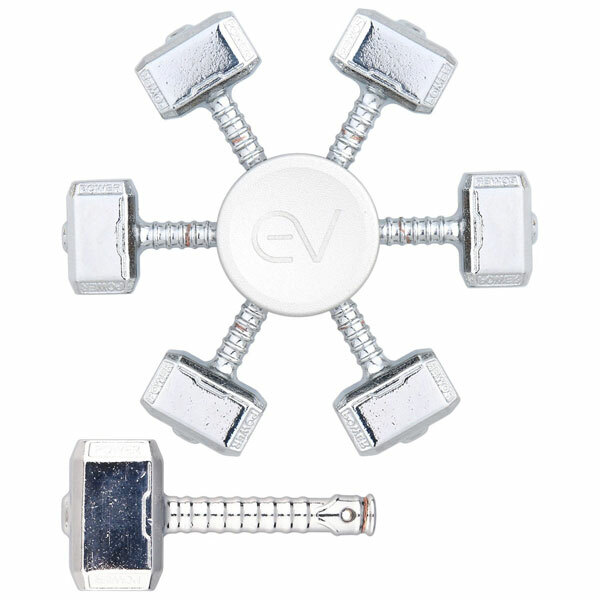 Thor Hammer Multitool: it comes with 44 pieces encased in Thor’s hammer. You get a tape measure, level, screwdriver, ratcheting wrench, pliers, knife, and other tools to choose from. 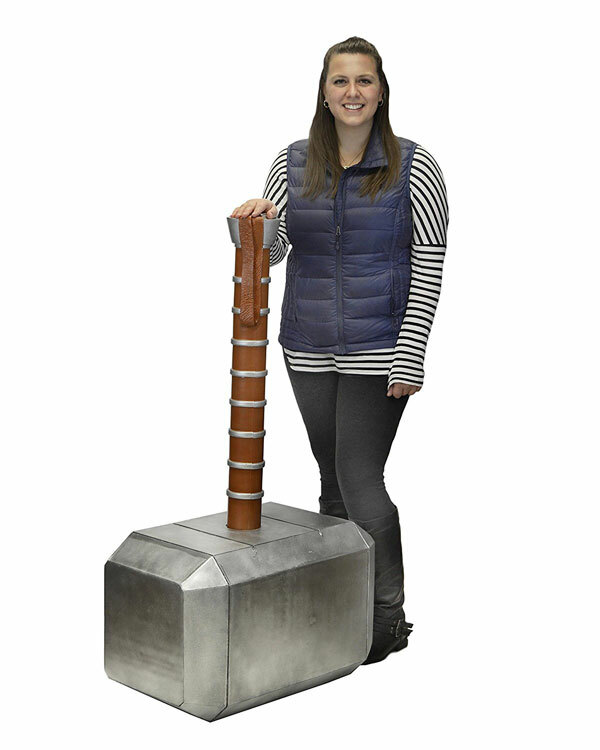 Oversized Thor’s Hammer: measures 4 feet tall. It is made of foam. It looks realistic but completely safe to lift and swing. 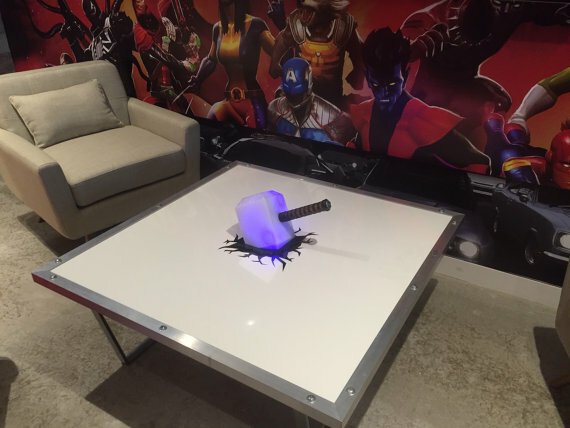 Thor Hammer Table: an interactive table with a 3D printed translucent hammer and 12 LEDs. The hammer glows like a lava lamp and has various special effects. 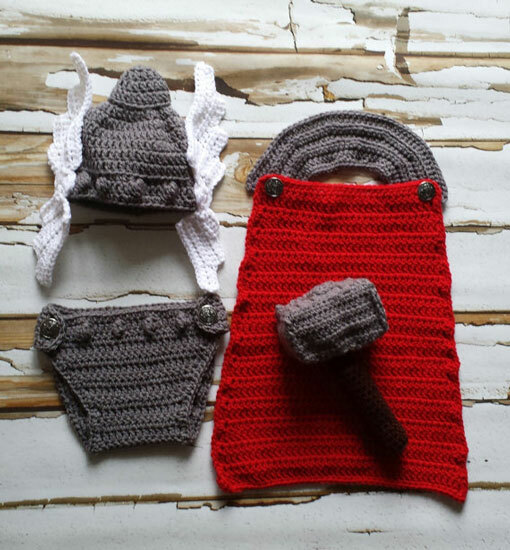 Baby Thor Outfit: a cute costume for your baby. Comes with a hat, cape, hammer, and diaper cover. 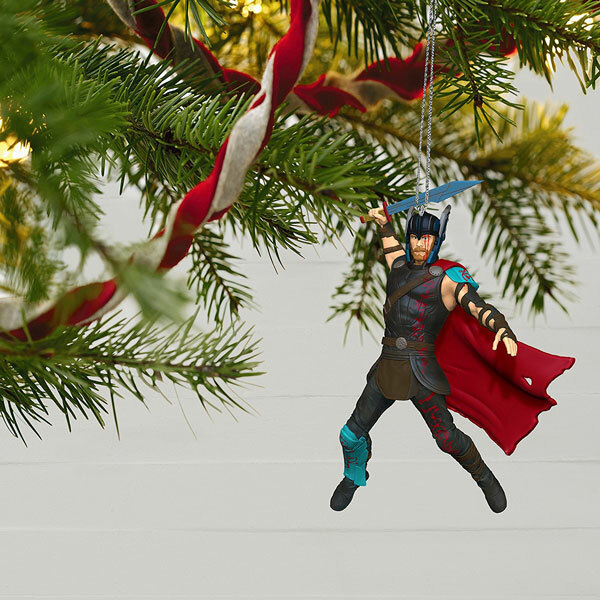 Thor – Ragnarok Christmas Ornament: makes your Christmas tree looks cooler. Other characters are also available. 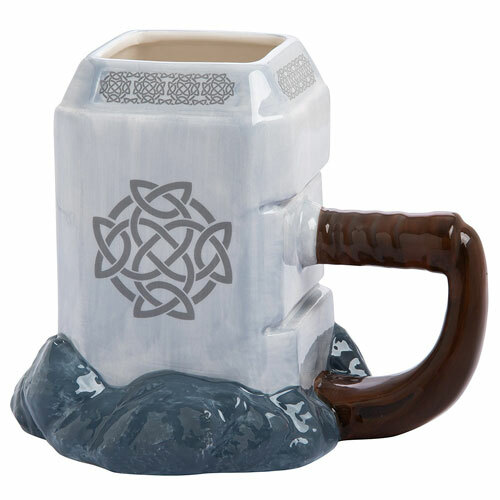 Vandor Thor Mjolnir Mug: a ceramic sculpted mug for your favorite drinks. It is microwave safe. 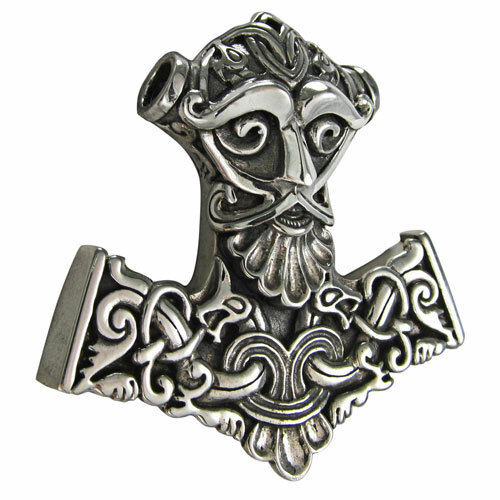 Thor Hammer Pendant: this piece of jewelry was designed by artist Paul Borda of Dryad Design and made of .925 sterling silver. Steamhammer Pendant: this steampunk item comes with non-working cogs and gauges. 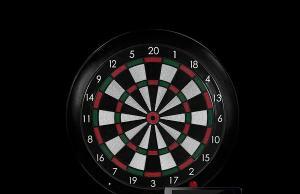 Great for guys and gals. 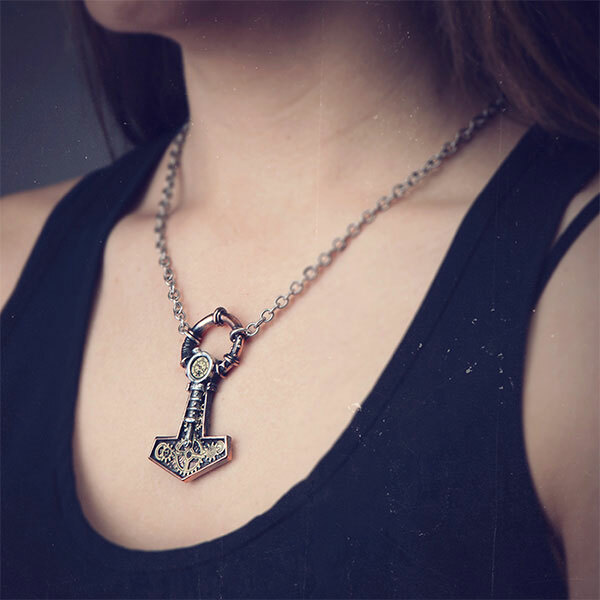 Thor Hammer Necklace: a stainless steel and enamel pendant. 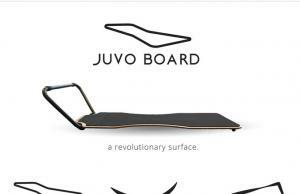 Looks cool and doesn’t weigh too much. 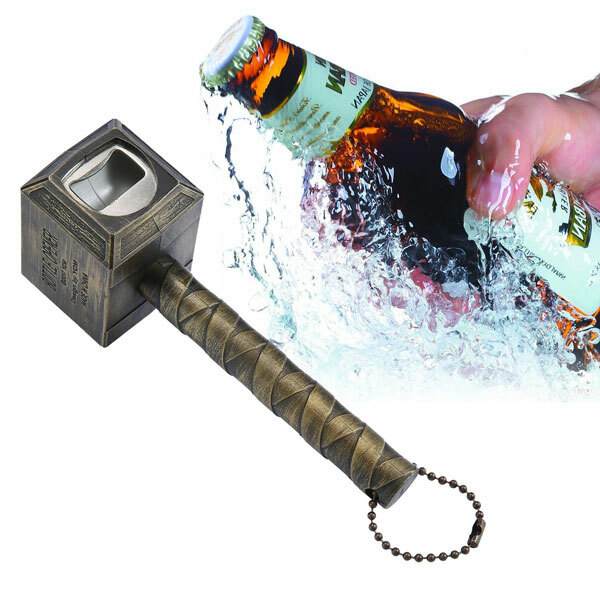 Thor Hammer Beer Bottle Opener: made of ABS and metal, this lets you open bottles like a superhero. 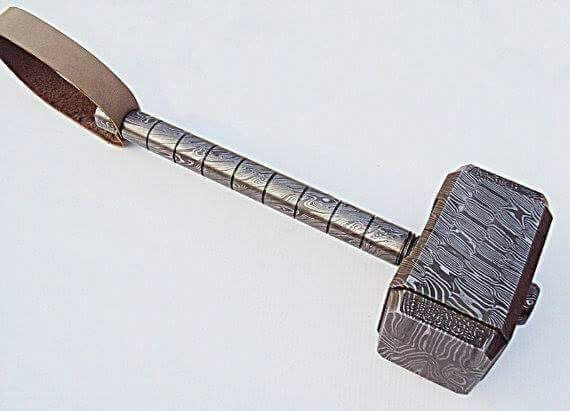 Hammer of Thor Keycaps: all aluminum keycaps for your mechanical keyboard. 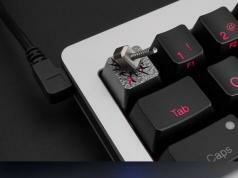 Compatible with the Cherry MX switches. 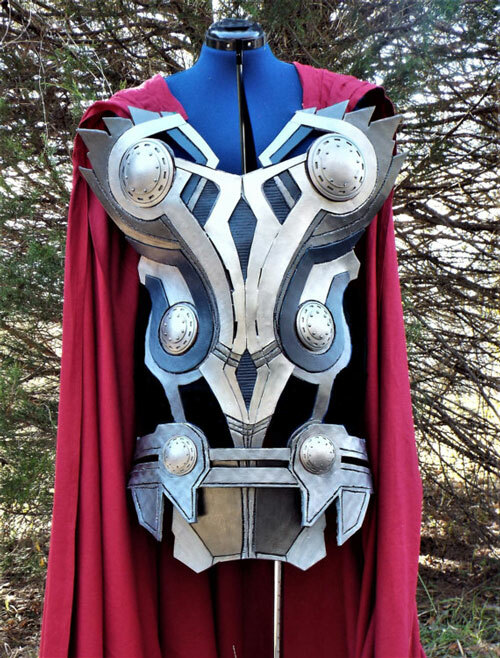 Thor Armor: a hand craved and hand painted armor for cosplay. Kept in place by a neck piece and tension straps. 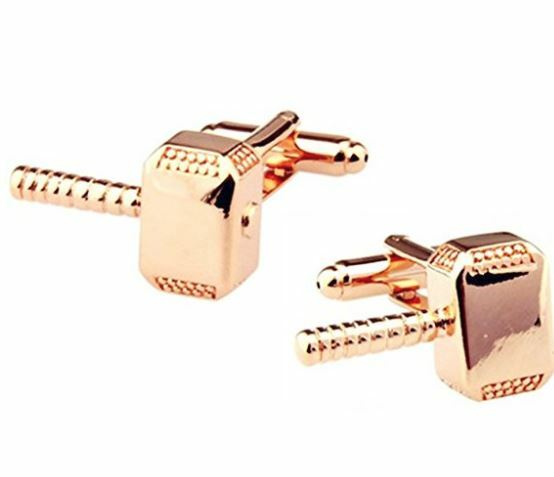 Thor Hammer Cufflinks: completes your geeky outfit. Great for your favorite French cuff shirts. Thor’s Hammer Fidget Spinner: still into fidget spinners? 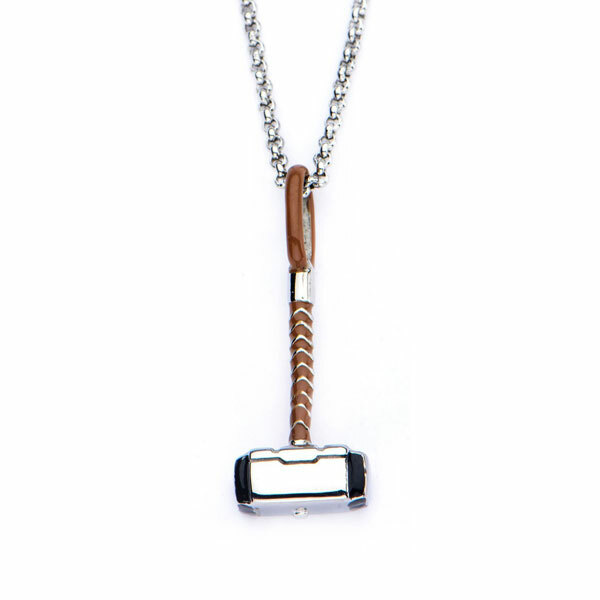 You may want to give this one inspired by Mjolnir a look. 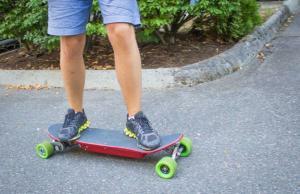 It is ergonomic and ready for fast spinning. Gladiator Thor Helmet: a 3D printed helmet with functional wings. 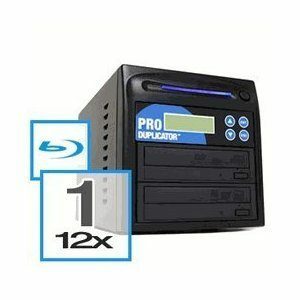 It is printed in PLA. 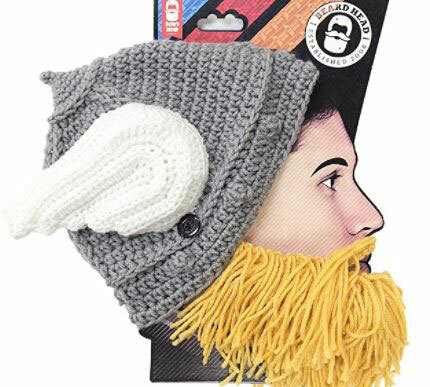 Beard Head Thor Knit Beard Hat: a hat with detachable beard face mask. 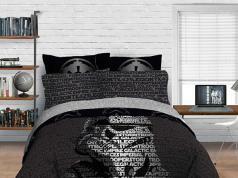 It is made of 100% acrylic yarn. 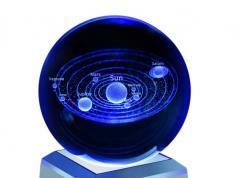 Have you found cooler Thor inspired gadgets and gizmos? Please share them here.